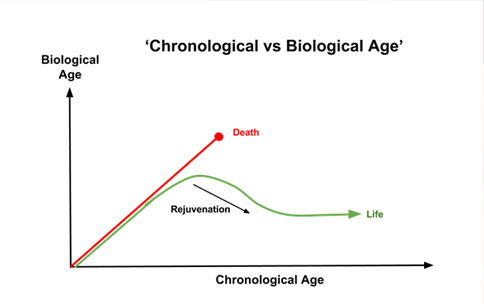 Generally the blood vessels become harder as we get older. “Vascular age” represents how many years old a vessel became hard. You are as old as your blood vessels which don’t equal to your birthday times. What is the “Vascular Power”? The “vascular power” means the force that blood vessels maintain soft and supple, the inner wall is smooth, and the blood flows smoothly. The older someone’s vascular age is, the more likely they are to develop clogged arteries that can possibly lead to heart attacks. Let’s strengthen your “Vascular Power” by Nitric Oxide(NO)!! 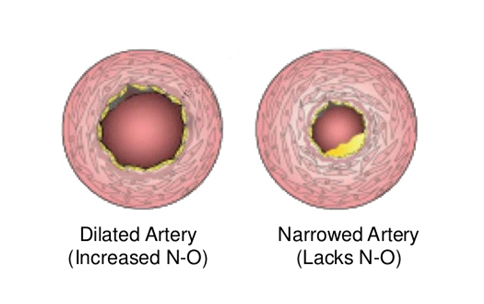 Nitric oxide (NO) is emitted from the portion called “vascular endothelial cells” which constitutes the inner wall of the blood vessel and touches the blood. 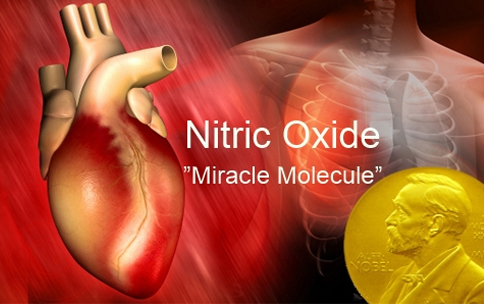 This nitric oxide has an action to prevent arteriosclerosis and inflammatory diseases by dilating the blood vessel and supple. When the “Vascular Power” is high, a lot of nitric oxide emerges from vascular endothelial cells, which further decrease plaque growth and blood clotting. Nitric Oxide induced by Blackcurrant Anthocyanins in Blood Vessels!! Effect of Black Currant Anthocyanins on the Activation of Endothelial Nitric Oxide in Human Endothelial Cells. Various studies indicate that blackcurrant anthocyanin supplementation improves endothelium-dependent vasodilation by NO in individuals with high levels of blood cholesterol. This effect involves activation of the Nitric Oxide signaling pathway, improvements in the serum lipid profile and decreased inflammation. Blackcurrant Anthocyanins support to prevent from getting arteries and capillary vessels weaken and broken!!! NZ Blackcurrant extracted anthocyanins contained in Vision Smart Supreme show a significant health benefits of the specific delphinidin anthocyanins(137mg out of 210mg daily) supporting to relax eye ciliary muscle by inducing nitric oxide (NO) production in addition to helping protecting a long miles of capillary vessels and arteries!!! 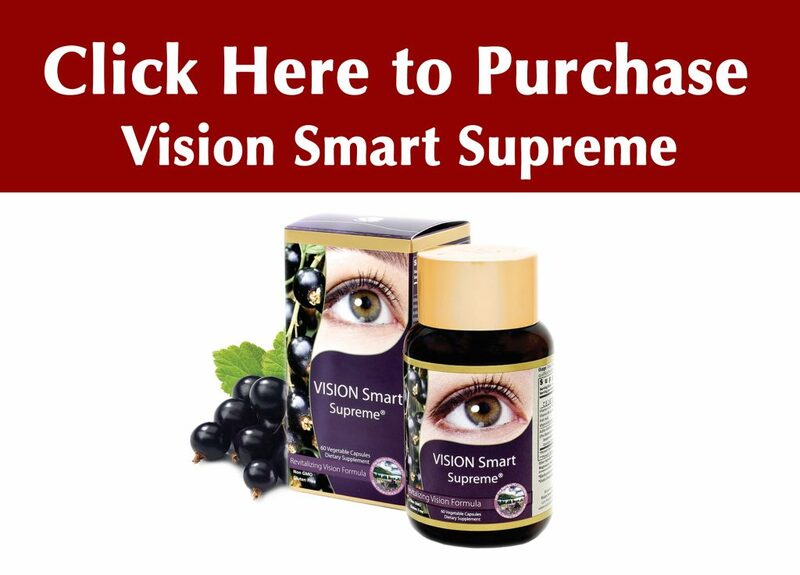 Vision Smart Supreme contains the highest amount and quality anthocyanins among all other supplements marketed in the world supplement markets! !